An amazing chance to stay at a piece of movie history. 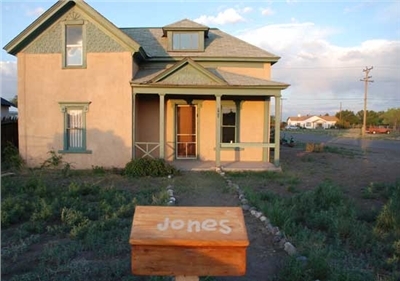 This is the boyhood home from 'Indiana Jones and the Last Crusade' where Indy's father (Played by Sean Connery) and young Indy (Played by River Phoenix) Lived. The home is located in Antonito, CO, a small historic town in Southern Colorado, 4 miles from the New Mexico border in the incredible San Luis Valley. There are lots of things to see and do in and near Antonito. 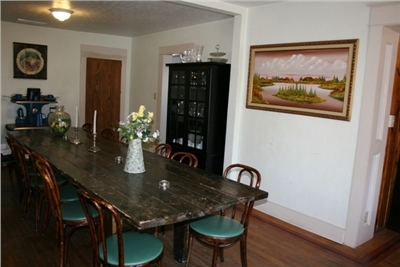 You will have a delightful visit to this famous home and enjoy a full cooked-to-order breakfast in a unique bed and breakfast. We are only 1 mile from the Cumbres & Toltec Scenic Railroad (Also used in the movie). Let your adventure begin! This room features a King bed, antique dresser, closet, reading lamp, and private detached bathroom with Jacuzzi tub & shower. This room features a comfortable, Queen size bed, antique dresser, reading lamp, and a private bathroom. This room is on the first floor of the house and easily accessible for those who cannot climb stairs. This 2nd floor room features a double size bed, dresser, reading lamp, and a private bathroom with a shower. 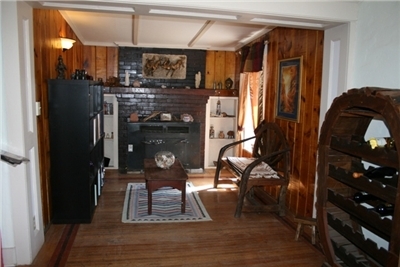 It is near the upstairs sitting area that comfortable chair and a library for relaxation and entertainment. This 2nd floor room features queen & double size beds, dresser, reading lamp, a private balcony, and a private bathroom with a shower. It is near the upstairs sitting area that comfortable chair and a library for relaxation and entertainment. General	| Rooms are non smoking. Deposit	| First night rental fee due at reservation. Balance due 30 days prior to arrival. If arriving withing 30 days, total due at reservation. Pets	| Dogs are allowed with pet deposit, if notified prior to check in. Other	| First night rental fee due at reservation. Balance due 30 days prior to arrival. If arriving withing 30 days, total due at reservation. If room can be re-rented, refund will be offered less administrative fee of $50.00. If unable to re-rent, all monies paid will be forfeited. Children	| Adult supervised children are welcome at our facility.